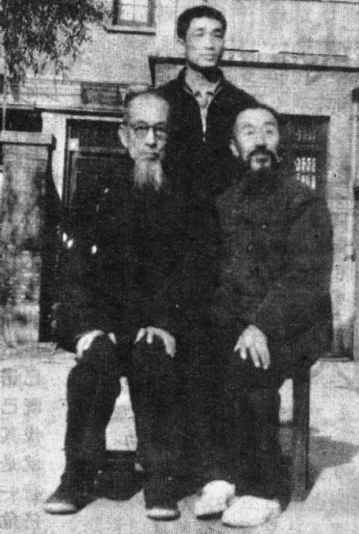 Pa Kua Chang practitioners who cling to the Pi Ch'eng-Hsia theory state that prior to the Cultural Revolution in China there were actually tomb stones and graves of Pi Ch'eng-Hsia and Pi Yueh-Hsia located on Nine Flower Mountain. Not one to leave any stones unturned, Professor K'ang Ko-Wu spent several weeks on Nine Flower Mountain investigating this possibility. In his thesis he reports that according to the Nine Flower Mountain Guide Book written in 1925 by Chang Chou-Wei of Ching Yang county, under the historical section, it states that in the 3rd year of the Chih Te Emperor the mountain became an important Buddhist retreat. During the Ming and Ching Dynasties the mountain continued to be a place of veneration and worship for the Buddhists as it was believed that a Buddhist deity had visited there. No one had ever heard of Pi Ch'eng-Hsia or Pi Yueh-Hsia, no one had ever seen their grave stones or tombs, nor had anyone ever heard of a martial art which resembles Pa Kua Chang being practiced on Chou Hua mountain. Another resident of Nine Flower Mountain, Chou Ping-Chu, wrote in the Chronicles of Nine Flower Mountain (1900) that the mountain had been an important Buddhist holy place throughout the Ching Dynasty. K'ang reports that he could not find any reference to Taoists or the names Pi Ch'eng-Hsia or Pi Yueh-Hsia in either of these books. Taoist Pi Ch'eng-Hsia he, concluded that the story is without factual basis.